When tofu is mishandled in the kitchen, the result often looks and tastes like a cross between cardboard and Play-Doh. When this happens, people shun it, often forever, which would be a mistake -- because when it's done right it really shines, as it does at this Singaporean street food-inspired spot, which recently expanded its tiny space. 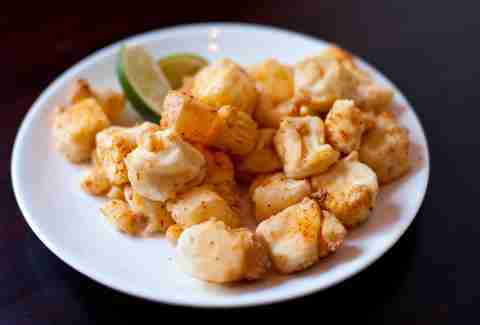 Silken tofu is delicately fried so that the outside is perfectly crispy, leaving the inside with a custard-like softness. The entire plate is given a generous shake of chili salt and there’s house BBQ sauce for dipping. You may have had roast cauliflower, but you’ve never had it like this. A whole (or half) cruciferous head gets roasted until tender and just crispy on the outside. 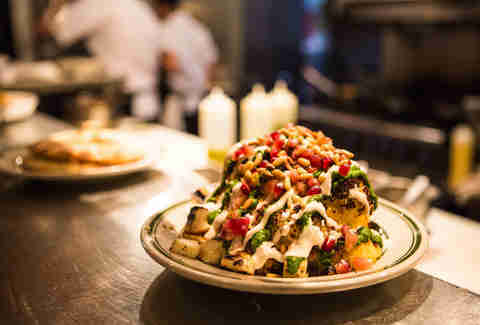 Then it’s glazed with a generous coating of house tahini, crunchy pine nuts, springy-salty halloumi cheese and a sprinkle of tart pomegranate seeds. Suppose, for some diabolical reason, you were forced to choose just one comfort food to consume for every winter henceforth. Well, if that happens, you should choose the Khao Soi from this constantly packed resto that feels as if it were plunked down direct from Bangkok. 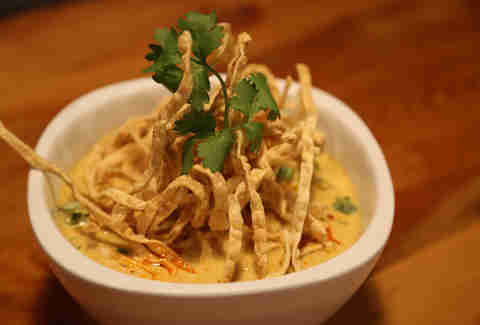 Egg noodles hang out in a bath of creamy, spicy golden curry with coconut milk, scallions, coriander, and lime, all topped with a tangle of crispy noodles. No one would ever eschew their veggies if they knew they could get them served like this. 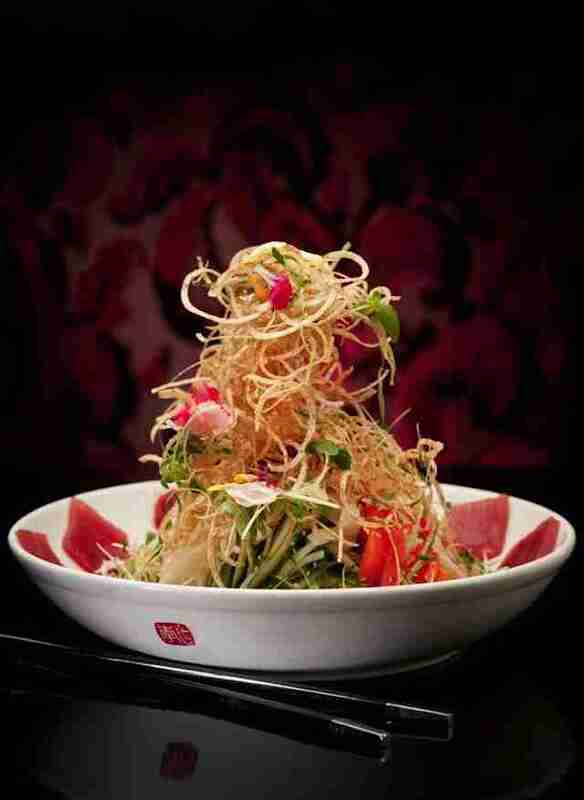 Susur Lee’s iconic slaw consists of a whopping 19 ingredients, some of which include cucumber, vermicelli, edible flowers, fried shallots, taro, and pickled red onion. The result is a sharable salad that’s as fun to eat as it is to look at with a lively medley of vibrant flavours and textures. 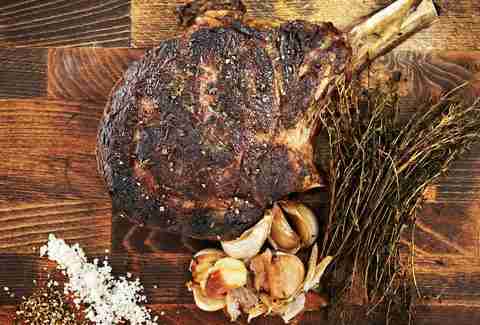 If there was ever a more perfect date-night meal than this one, we have yet to find it. So long as your date is not a vegetarian. Cumbrae Farms ribsteak and roasted bone marrow sit beautifully alongside pickles, parsley, horseradish, mustard, and frites, and it's all delicious. One would hope that the pizza made in a 5,000lb oven shipped across the ocean from Italy would be good pizza, and thankfully in this case, one would be right. 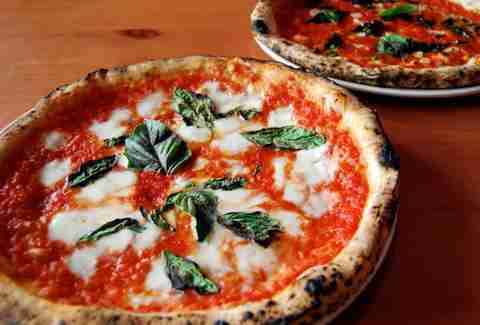 The quintessential pie here seems simple: sauce from San Marzano tomatoes, fior di latte mozzarella brought in fresh daily, and fresh basil. But combine them atop a base of dough made from Italian double zero flour and bake it all in a 900-degree wood-burning oven for 90 seconds and you get something close to perfection. 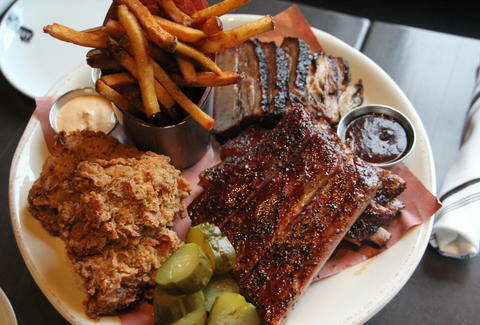 If you’re in the mood for BBQ, the Pit Master Platter is the city's greatest sharing plate. 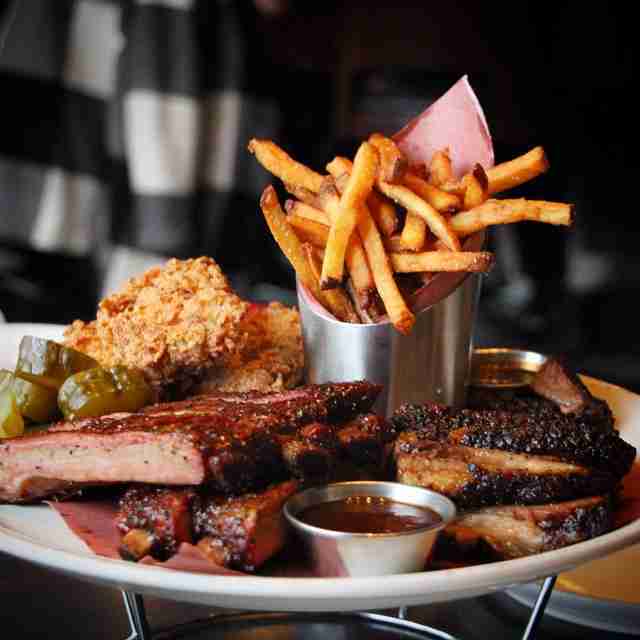 Tuck in your napkin and tuck into a perfectly cooked plate of pork ribs, beef brisket, buttermilk fried chicken, pickles, fries, and chipotle mayo. Only big appetites need apply. 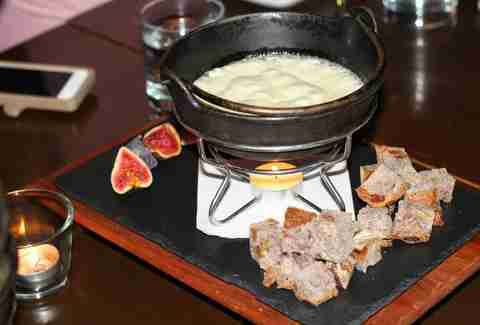 There’s cheese fondue and then there’s cheese fondue. The difference being that the former is something you mindlessly dip a few pieces of bread into while chatting to the person next to you, and the latter is something you invest your taste buds in. This is the latter. Sharp from the blue, extra creamy from the Brie and served with walnut raisin bread, this is the fondue of your twisted cheese-laced fantasies. When is a burger not just a burger? When it’s made fresh from beef that’s ground in-house, cooked to perfection, topped with caramelized onions and oozing Raclette, and served on a buttery, house-made brioche bun that does a great job soaking up all those juices. 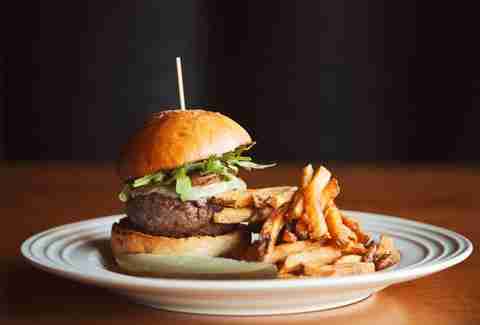 This two-hander is accompanied by frites and requires multiple napkins to get through. 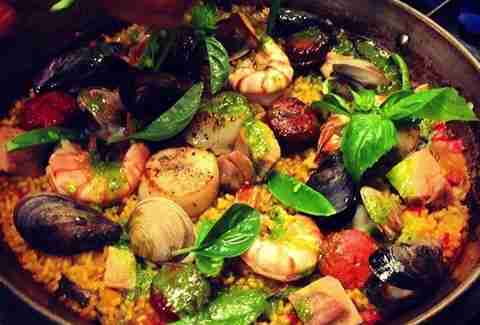 Feel as if you’ve hopped a plane to Barcelona for the evening with a visit to warm, romantically-lit Carmen and a plate of its much-loved paella. Diners are encouraged to order as soon as they arrive, as the dish, filled with shrimp, clams, mussels, scallops, chorizo, chicken, and saffron can take upwards of 45 minutes to create. We’re here to tell you the wait is well worth it, plus you can sample from Carmen’s extensive tapas menu to tide you over. 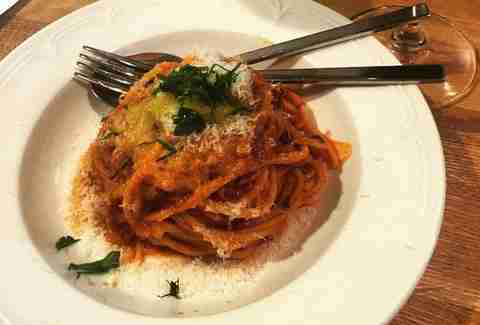 Despite what you might assume, spaghetti doesn’t always come out of a box. Chef Craig Harding makes his supurb strands in-house and dresses them with a deeply flavourful sauce that coats the pasta perfectly but isn’t too thick. The recipe comes courtesy of Harding’s Venetian Grandmother and the comforting goodness is worth coming back for.